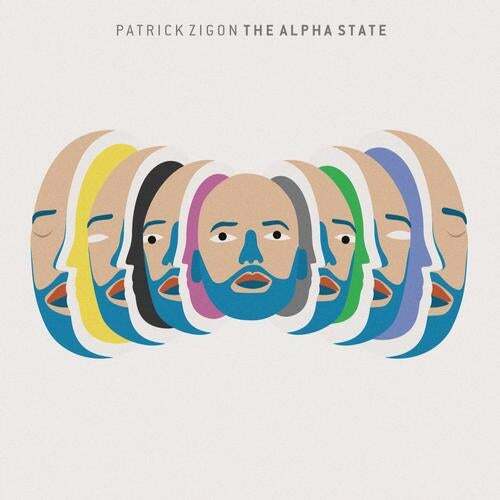 Patrick Zigon's 'The Alpha State' is a hypnotic guide through his deep and colourful world of electronic music. After many years of heavy releasing and remixing, Patrick took a time-out, locked himself into his studio to reinvent himself and to put all his new energy and creativity into his very first artist album. More than one year of hard work, sleepless nights and extensive sound design result in a thrilling journey of overall 12 tracks, and in connection a newborn live-act on stage. Call it Patrick's first intentional musical monument. For this he has not only brought himself, but also music production to the next level and welcomed diverse non-electronic guest musicians in his Traumraum studio to pair their talents with his infectious electronic grooves. The dope Ragga vibes of Caramelo Criminal, the captivating vocals from Cassis, the muted trumpet of Fugatocity, the tricky live drums of The DisDrumMachine, the German voice of Goldkehlchen and the dark vocals of Paulo Olarte paired with Patricks production skills make this album the most artistic piece of music in his release-catalog so far. 'The Alpha State' is handmade, soulful, hypnotic and timeless electronic club music. An album that will grow for you and that leaves a lot to discover, even after many listening sessions. It's made both for clubbers and home listeners to take them to another state, their alpha state.